Mainly sunny. High 62F. Winds N at 10 to 15 mph..
A group of Restaurant Moai attendees enjoy a meal at Nunatak in Beaver Dam, a Blue Zones Project approved restaurant. Okinawans have the longest disability-free life expectancy in the world and live, on average, seven years longer than most Americans, according to a Blue Zones study. They experience one-fifth the rate of breast and colon cancer and one-sixth the rate of cardiovascular disease. Unfortunately, 80 percent of Americans older than 60 will develop one of these three diseases in their lifetime. In 2006, cardiovascular disease accounted for $403 billion in medical costs. What are the people in Okinawa doing that for a longer, healthier life? In addition to how mindfully the Okinawans eat and move naturally throughout their day, they are also intentional about nurturing their social relationship. Much of this is done through their moais. A Moai is an Okinawan tradition that Dan Buettner with Blue Zones Project discovered when they were interviewing people in Okinawa, Japan. The idea of moai is simple. It is a small group of people coming together regularly for a common purpose. It wards off loneliness and brings people together as support and companionship. Research has shown that many Americans are lonelier now than they were 20 years ago. Loneliness is in direct opposition to the pursuit of well-being. Blue Zones Project Dodge County strives to help cultivate relationships by creating opportunities for people to get together for a common purpose. These could be groups who walk, read, knit, or another activity we’ve learned to be popular here, eat together. Both Beaver Dam Community Library and Juneau Public Library host a monthly potluck moai. These events are open to the public, allowing the community to come together to enjoy food and socialization. Bring a plant-based dish to share, which can be as easy as a veggie tray, salad, or fresh fruit. Blue Zones Project also started a monthly restaurant moai. Participants can come and guarantee a lunch or dinner date at Blue Zones Project approved restaurants throughout the county. At these events, we witness old friendships nurtured and new acquaintances made. 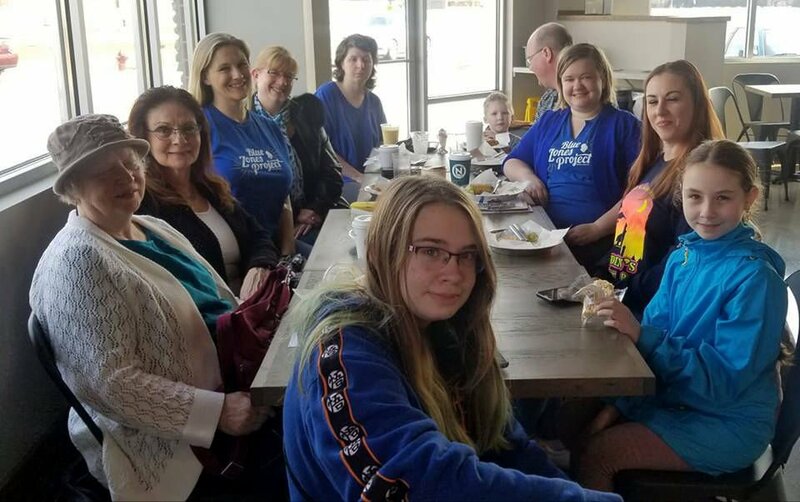 The next Restaurant Moai meetup is scheduled for April 24 at 11:30 a.m. at Nunatak Coffee, 201 Gateway Drive, Beaver Dam and at 5 p.m. at The Open Door Coffeehouse, 119 S. Main St., Mayville. With spring here and summer approaching, some of the walking and biking moais re-emerge and re-connect. On April 18, at 8 a.m., you’re invited to join YogaOma as they launch a spring walking moai. Contact us to get connected or to form your own moai.